RE/MAX Southern Shores sells homes at Avista Ocean Resort, North Myrtle Beach, SC! Why purchase a home or condo in North Myrtle Beach? There are so many reasons that it is hard to know where to begin. First of all,the famous Grand Strand consists of 60 miles of some of the finest residential and vacation property in the United States. With a more temperate climate than Florida, we have mild winters PLUS spring and fall are like paradise in North Myrtle Beach! 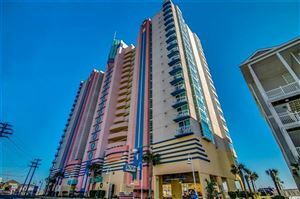 Adjacent to an exclusive residential area, the Avista Resort is one of the most exciting properties ever built in this northern section of the Grand Strand! Built in two oceanfront phases, the 16-story buildings arc into a semi-circle facing the Atlantic, connected by a 5-story centerpiece that houses the art deco lobby , on-site convention and meeting facilities, full-service restaurant, lounge, and fitness center. The South Tower offers 145 oceanfront units and 48 oceanview units. The North Tower offers 145 oceanfront units and 39 oceanview units. Available in 1, 2, or 3 bedroom styles, the individual condominiums "fan" out from the curved balcony to provide architecturally interesting and varied floor plans. Each unit offers exceptional features including fully furnished and accessorized designer interiors, tiled entry, kitchen and baths, central heat and air and private balcony. Sizes range from a spacious 497 sq. ft. suite to the 1446 sq. ft. luxurious oceanfront 3-bedroom unit. 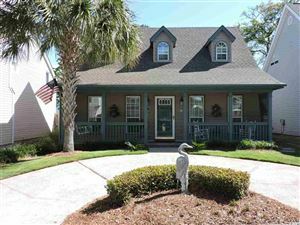 North Myrtle Beach, South Carolina areas offer a low cost of living, year-round beach living, vacation and investment properties in an area with every cultural and creature comfort you can ask for! Avista Resort is one of North Myrtle Beach’s newest oceanfront condominium resorts. Extraordinary features and architectural beauty combine to offer homeowners the ultimate year round or vacation experience. Prepare for a new level of living while enjoying all that the North Myrtle Beach area has to offer. Leave your stress and worries at the door when you arrive at Avista. The resort has been designed with YOU in mind. Everything from the lazy river to the contemporary architecture was created as a place where the beach and the warm weather will melt away the stress and leave you felling relaxed. Avista Resort amenities include 3 pools, 2 lazy rivers, a children’s pool and 3 hot tubs. Plus, each luxury condo has a fully appointed kitchen with refrigerator, microwave, oven and appliances, a state-of-the-art fitness center, wireless internet access, private balconies, a full service restaurant, poolside grill and in-room dining, PLUS private covered parking. RE/MAX Southern Shores, the #1 selling real estate agency along the Grand Strand, invites you to access listings for Avista Ocean Resort properties by using the search features on the left of this website. Then call a RE/MAX Southern Shores agent at 843-839-0200 for personal attention to find the housing option that is just right for YOU! It is no wonder that so many buyers choose Avista Ocean Resort in North Myrtle Beach as the location of their new condo. One bedroom condos begin at $120k and three bedroom units are in the $400k range. All one has to do is take a drive along Ocean Boulevard along the Grand Strand to see all Avista and North Myrtle Beach have to offer! 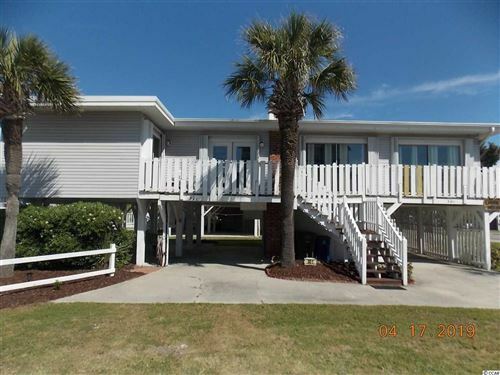 RE/MAX Southern Shores real estate agents are very familiar with North Myrtle Beach real estate market, and would be delighted to take you on a tour of Avista Ocean Resort as well as other North Myrtle Beach housing options. Simply give us a call at 843-86-0200 to schedule some time to make your real estate dreams come true!